Get 11 FREE Blockbuster Express Movie Rentals. These codes can be used once per account. Please Note: These codes are only valid on the $1 movie rentals. Get 8 FREE Blockbuster Express Movie Rentals. These codes can be used once per account. This offer expires October 31 and is valid only on movies that Matt Damon is in like Invictus, The Informant!, The Bourne Ultimatum, The Departed, Ocean’s Twelve and Much More! 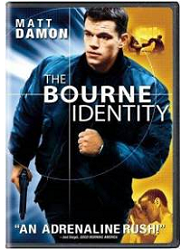 **Valid on Matt Damon Movies Only. Get Free Blockbuster Express DVD Rental. This code can be used once per account. Please Note: This code is only valid on the $1 movie rentals. Get 7 FREE Blockbuster Express Movie Rental. These codes can be used once per account. Get 8 FREE Blockbuster Express Movie Rental. These codes can be used once per account.